On the Saturday afternoon between Bowie concerts, several BDU members came together for a one-off walking tour of Sydney. 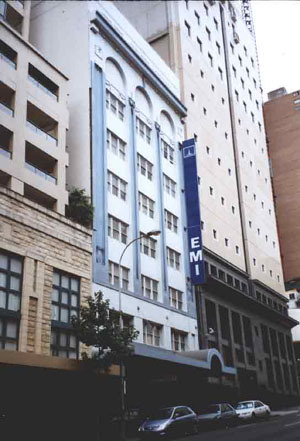 The idea was to visit places of Bowie note in central Sydney but rather than offer a fully guided tour such as that of London Walks and their Beatles Tours of London, I handed out leaflets to inform people of the sites we intended to visit. 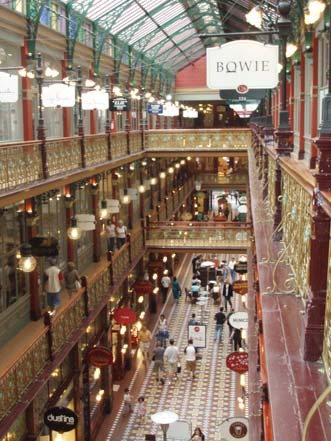 Our meet up location was The Strand Arcade on the west side of Pitt Street Mall. Several scenes of Bowie's LET'S DANCE video were filmed here in the early 80s. Among the actors were two Aborigines - a dance student named Joelene and her partner Terry. 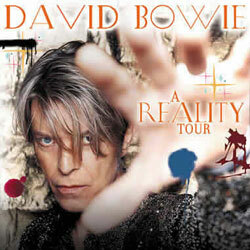 About a dozen Bowie fans joined for the tour - some familiar faces and some new ones who had found us via the internet. The tiny cafe we decided to meet in quickly reached capacity.....so we moved on. 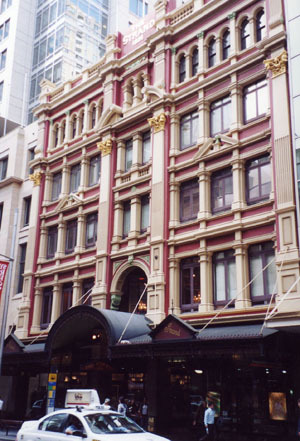 The Strand (1892) was the last arcade built in Victorian Sydney. 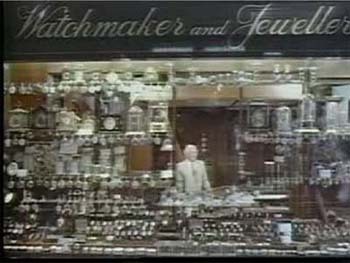 It is now a treasure trove of eclectic design, antiques, jewellery and gifts. Note: The shop called 'Bowie' is actually the store of local fashion designer Bowie Wong. 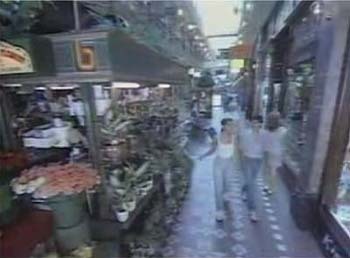 Captures from Let's Dance filmed at The Strand. After visiting some local music stores, we left Pitt Street and headed across to Castlereigh Street for Studio 301 - the only known music studios used by David Bowie in Australia. Bruce and Julie's amazing experience of meeting Bowie and Tin Machine members at these studios back in 1989 can be read here. Julie and Bruce with Bowie and Gabrels. Inside, we met mastering engineer Don Bartley. Don has worked with such artists as The Church, INXS, Alanis Morissette, Olivia Newton John, Sigur Ros, Paul Kelly, Silverchair and Powderfinger and he kindly showed us around the studios. Lorena (who confessed to be more of a general music nut than a Bowie nut) recognised Mr Bartley straight away and was notably excited to have met him. 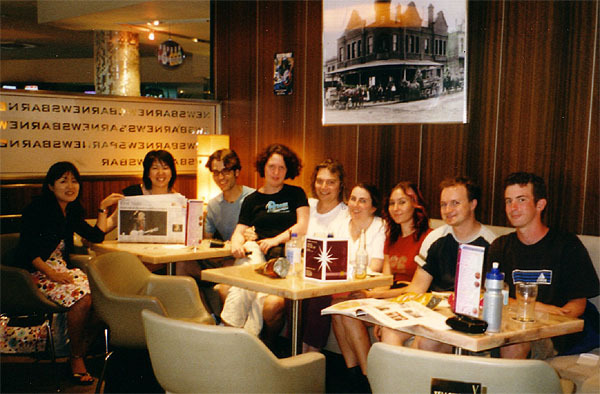 Included in the photo below are Chihito, Yasuko, Sally, Simone, Adam, Lorena, Chas, Louise, Mark and Daniel. 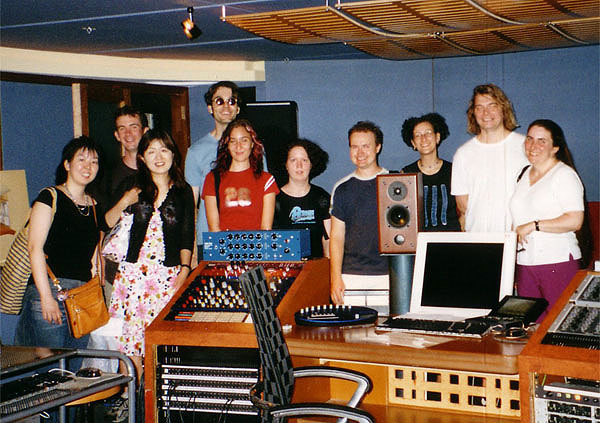 Studio 301 with the Bowie group. Photo by Don Bartley. 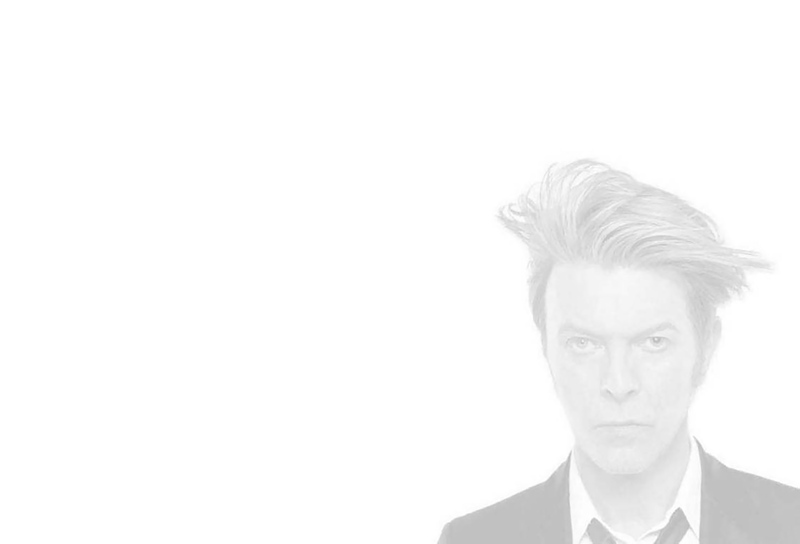 Apparently, quite a bit has changed since Bowie worked here. Today, the studios at Castlereigh Street specialise in mastering while the recording portion has been moved out to Alexandria and another studio again has been set up at Byron Bay. "I have spent two months at Studios 301 and I must report that the studio and staff were far above and beyond my expectations. With many of the world class studios closing their doors these days Studios 301 is thriving because they've got it right. The equipment is on everyone's dream list. The staff is extremely knowledgeable, friendly and courteous. I would go further and say that Sydney is a wonderful cosmopolitan, yet laid back, city in which to record long term projects. It's more than worth the journey from anywhere on the planet to record at such a fabulous facility as Studios 301." 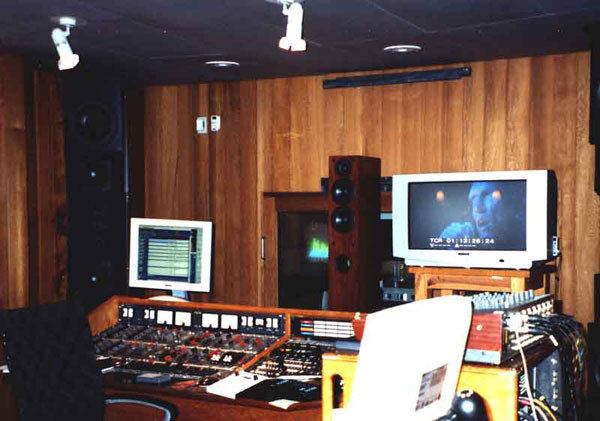 History indicates that the most recent Bowie recording to have been worked on at Studio 301 is the Marius de Vries remix of 'Survive' (1999). 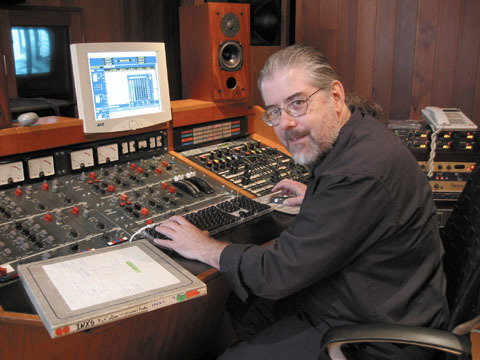 Australian artist, Brendan Gallagher added guitar to the mix - one of the very last items recorded before the Castlereigh Street studio was overhauled and tuned toward mastering. Studio 301. Photo by Adam D.
Leaving the studios, we headed for the journalist's drinking hole, The Evening Star Hotel in Surrey Hills. This was one of Bowie's old haunts - a place where he spent several evenings while recording the second Tin Machine album. In 2004, David said he wouldn't quite have time to return to the pub: "I think we'll only have time for one quick spin around the Harbour". 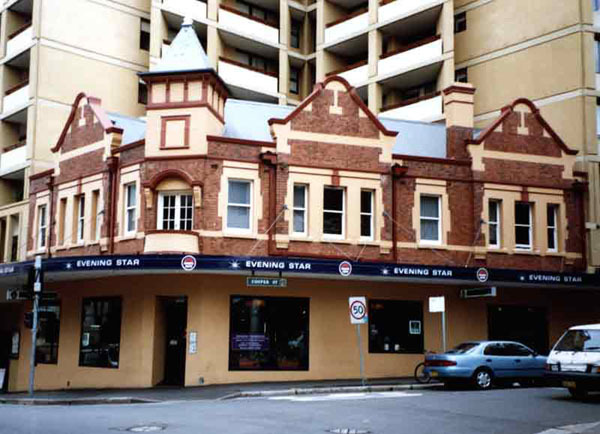 The Evening Star has been remodeled in the last few years and the apartment block above (where BDU member Steve Harrington lived for some time) has been added since Bowie's visitation here. Lorena Sydney err....yet to happen! 200? Finally, one location we never got to visit was Elizabeth Bay - the place where Bowie owned an apartment. I did not discover the exact location until a few months later. You can read about that here. NEXT PAGE: A CLUB UK Celebration! !